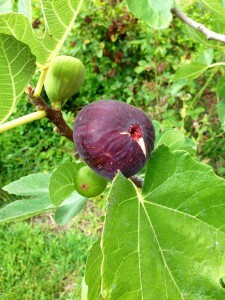 Every summer when the fig season starts our Cycluras just can’t wait to get the treats in the morning. Figs have been known as one of the best fruits that you can feed to your iguana. They are very high in Calcium and fiber which makes figs very healthy fruit snack for you and your iguanas. 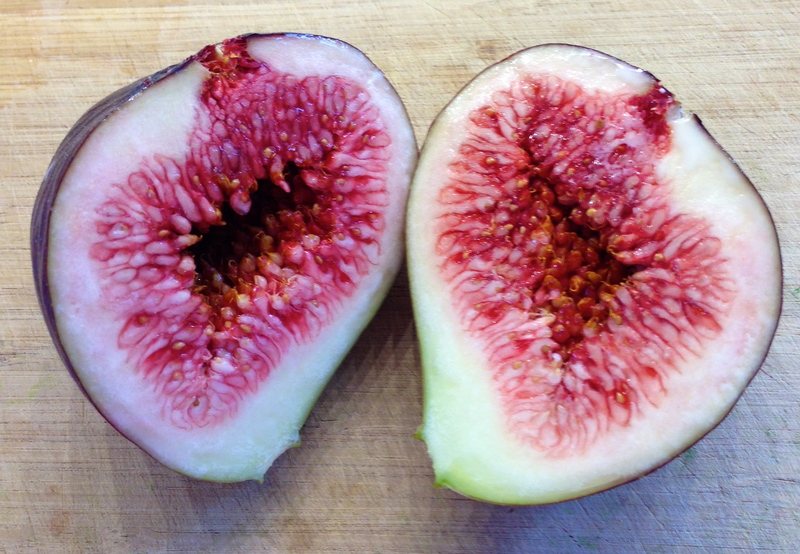 You can find more nutritional info on figs here. Living in South California I had seen that fig trees grow successfully and produce lots of fruit from August till late fall . In 2o12 we decided to plant some fig tree in the yard so we can spoil our little fruit-eating dinosaurs during the season. They are very easy to grow and don’t require much maintenance. Over the years I had tested different varieties of figs on our cycluras and came to conclusion that they prefer dark purple kind over yellow and any other kind. It could be the rich purplish-reddish color that makes them so noticeable and irresistible to iguanas. Darker varieties tend to be sweeter when fully ripe. So we planter Brown Turkey and Black Jack varieties and so far are happy with the results. Iguanas will also eat the leaves from the tree as well. Today (a year later since we planted the trees) I was happy to collect the first fig off the tree. 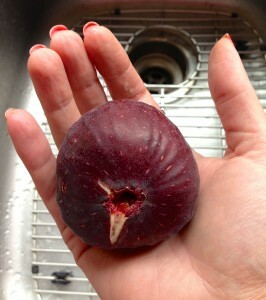 One particular fig grew to be so huge it was the size of an average apple. It was so big that I split the fruit between our 4 Rock Iguanas and everybody still got a hefty portion. Our iguanas absolutely love the figs and go crazy for them. 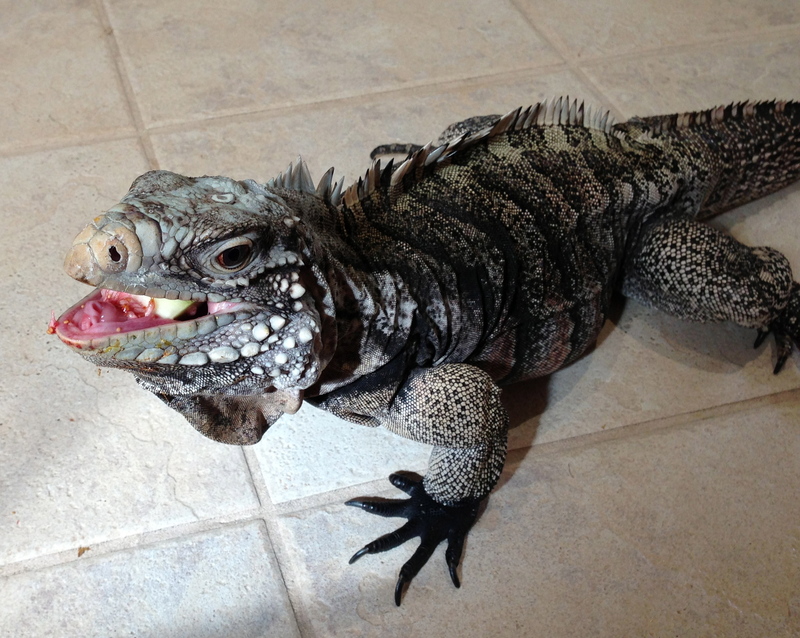 But I have also heard from different iguana owners that not every iguana loves the fruit. Yasha came to the kitchen this morning and got her anticipated fig treat. It wend down her throat so quickly I could barely take a picture before the fig disappeared. ← Cyclura Tail Curling – What does it mean?